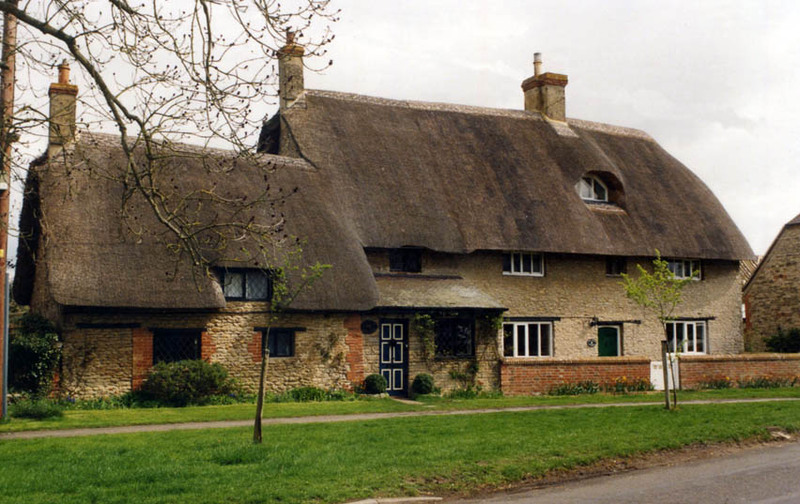 Modern Oxfordshire contains a good deal of the old county of Berkshire; an area now mainly known as The Vale of the White Horse. 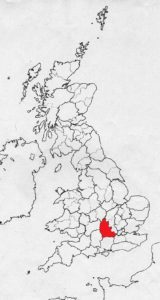 But it is the meandering River Thames, that forms the sinuous traditional boundary, between these two historic counties. 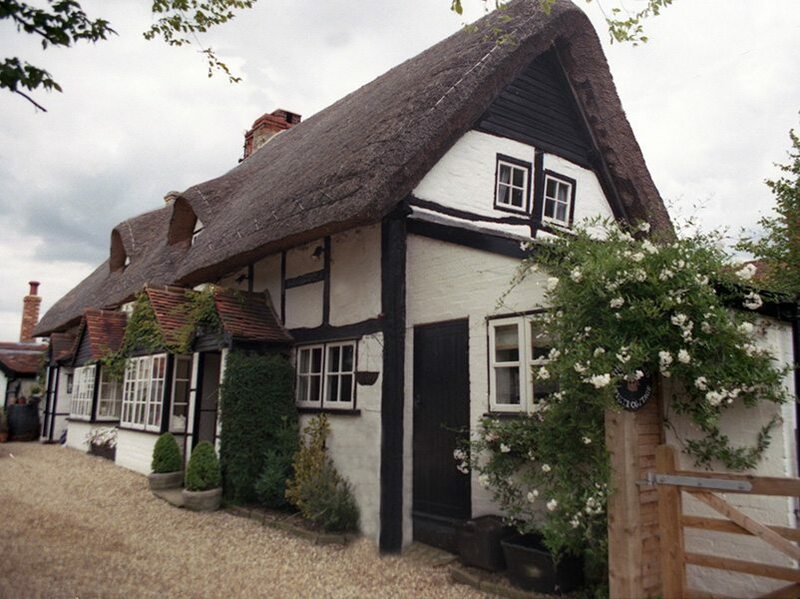 Along both sides of the Thames, thatching follows the rounded, Southern thatching tradition. 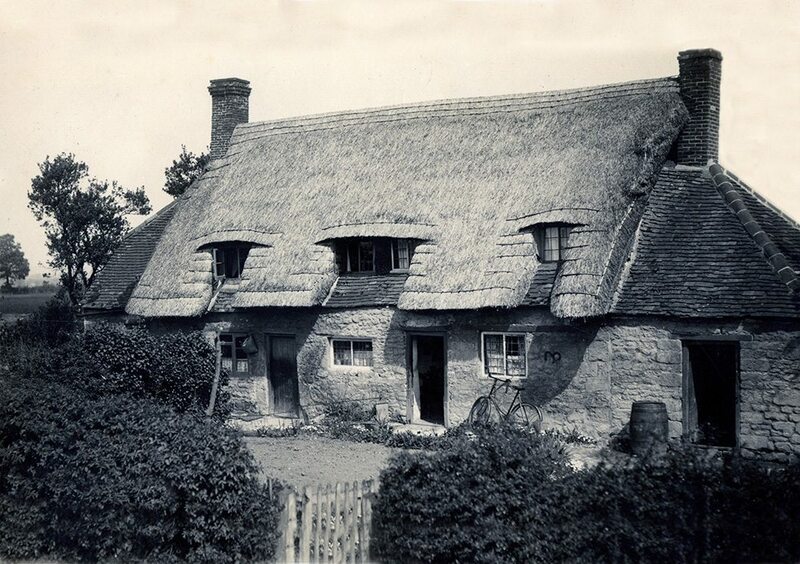 However thatch, north of the city of Oxford is often a little more angular; influences from the Northern and Eastern traditions can be detected. 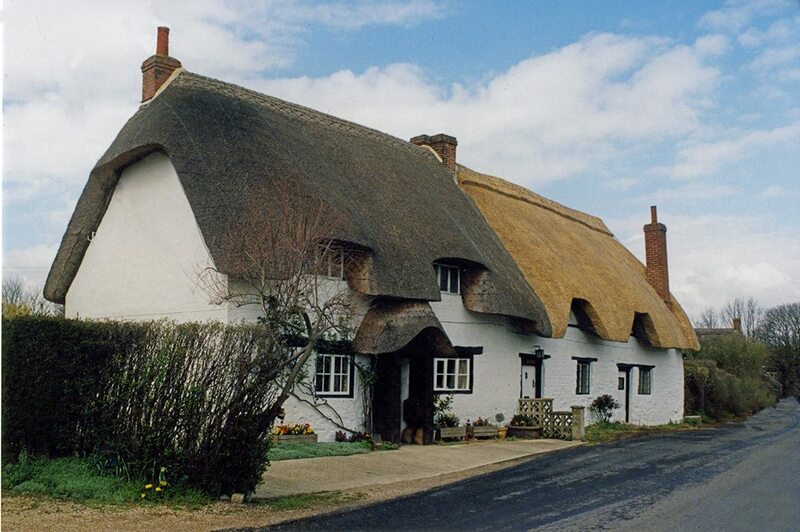 Roofs are a little squarer and gables narrower but thatching here essentially follows a Southern style. In times past, other materials than straw were utilised; 125 cartloads of heath, being used at Berkshire’s Windsor Castle, in 1362. This could be one of a number of useful materials; perhaps broom or heather. Probably building works at the castle needed winter protection, or a large ancillary roof needed coating. 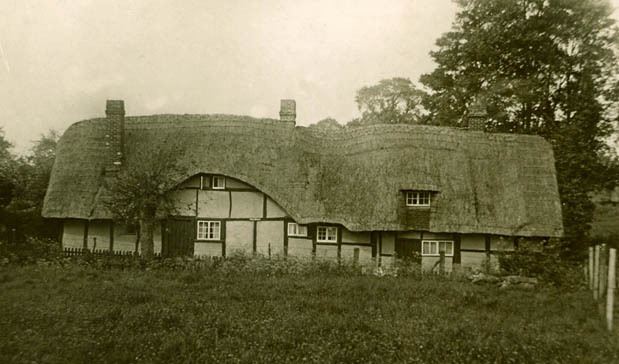 Either way, all those cartloads provided a huge amount of work for some medieval thatchers. 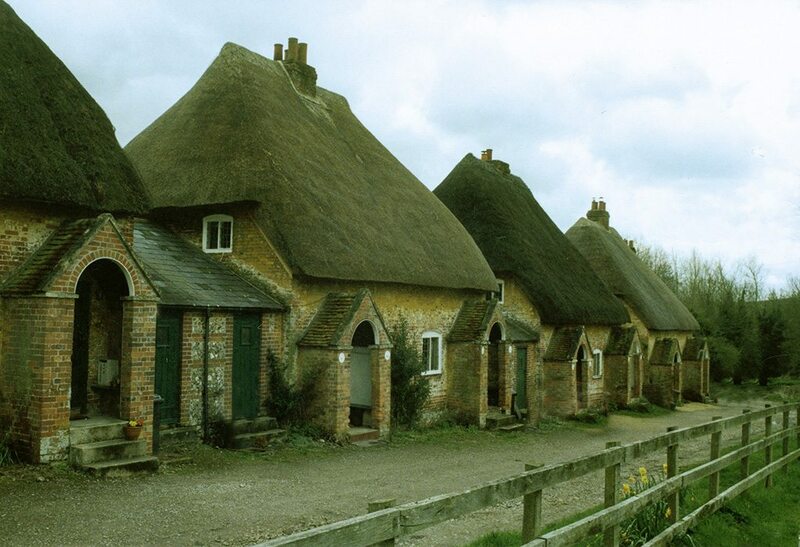 North Oxfordshire… There is a great deal of thatch hereabouts. 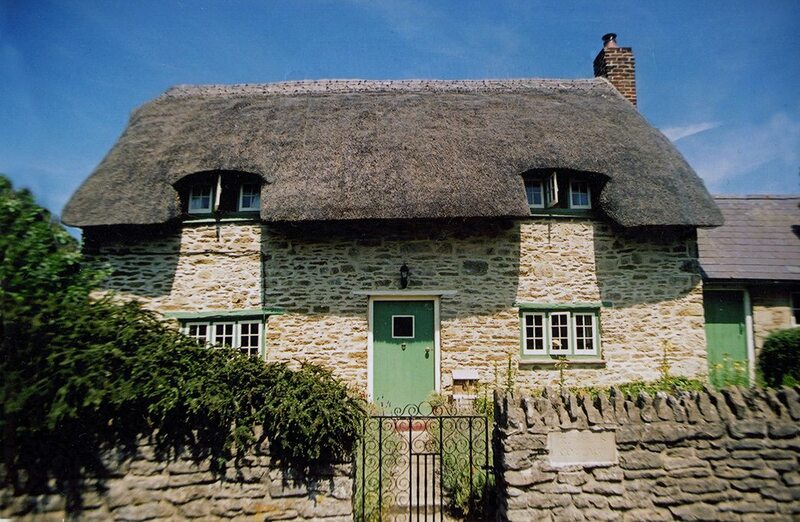 As with much of this county, thatch is combined with cotswold stone walls, to create some very picturesque cottages. 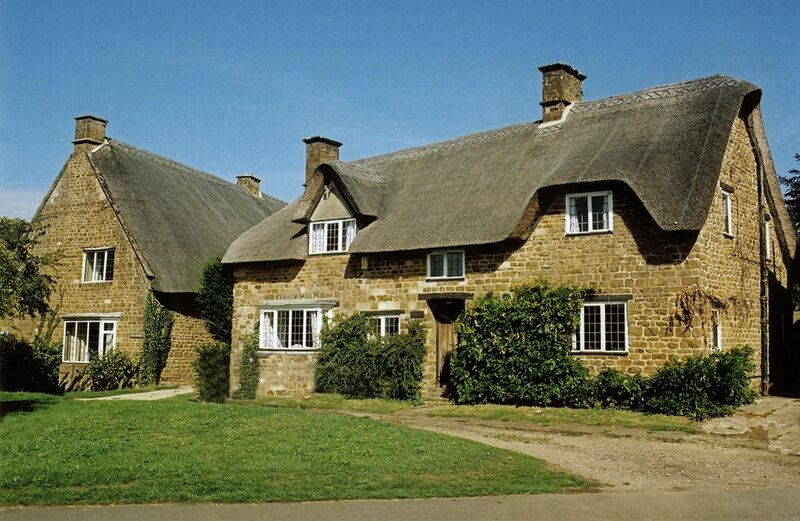 The modern roofs, above, at Bloxham are in combed wheat reed, now the most popular material. 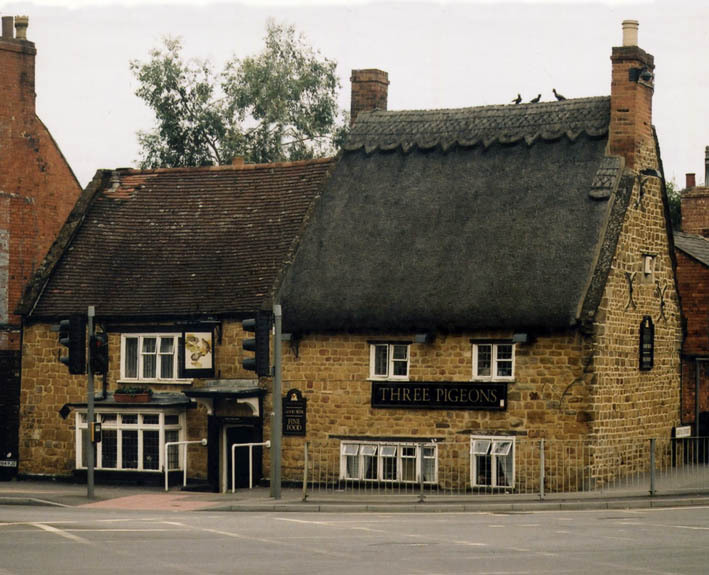 The old image of Great Tew, below, shows all in Edwardian, long straw thatch. 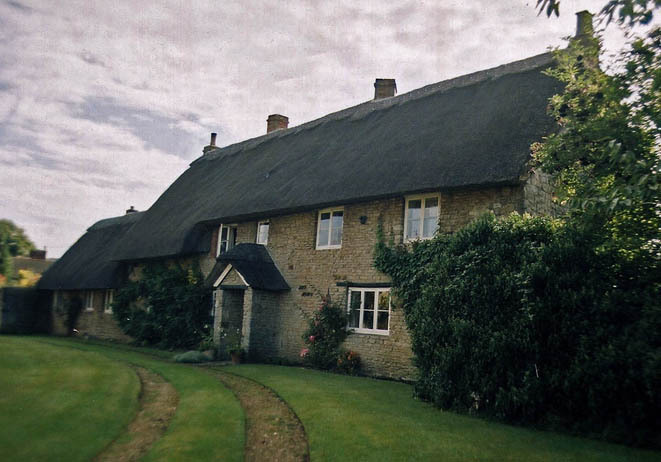 Oxfordshire literary thatch… The left hand property was once a blacksmiths and post office, where young Flora Thompson worked, at Fringford. 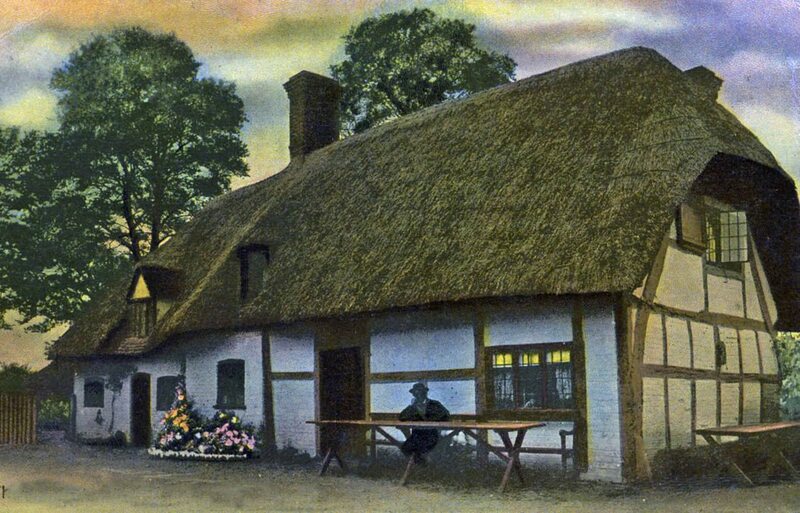 The area roundabout being immortalised, in her book, ‘Lark rise to Candleford’… The upper image shows ‘The Barley Mow’, at Clifton Hampden. 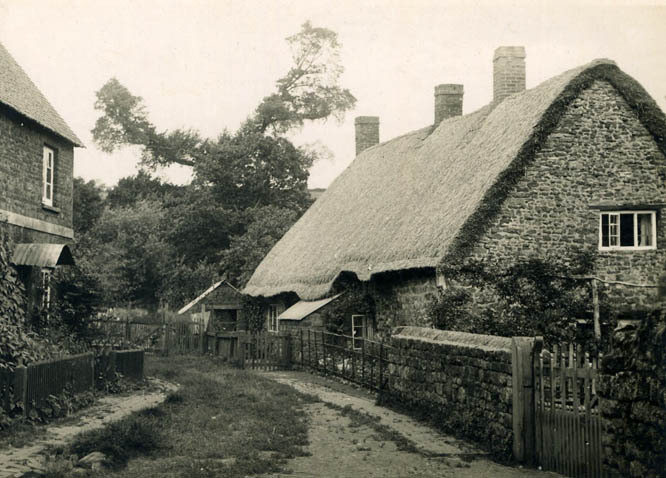 This cruck built, fourteenth century pub, was mentioned in Jerome K. Jerome’s 1889 classic, ‘Three Men in a Boat”… ”If you stay the night on land at Clifton, you cannot do better than put up at the Barley Mow.” The image dates from this period. The pub is still going strong. 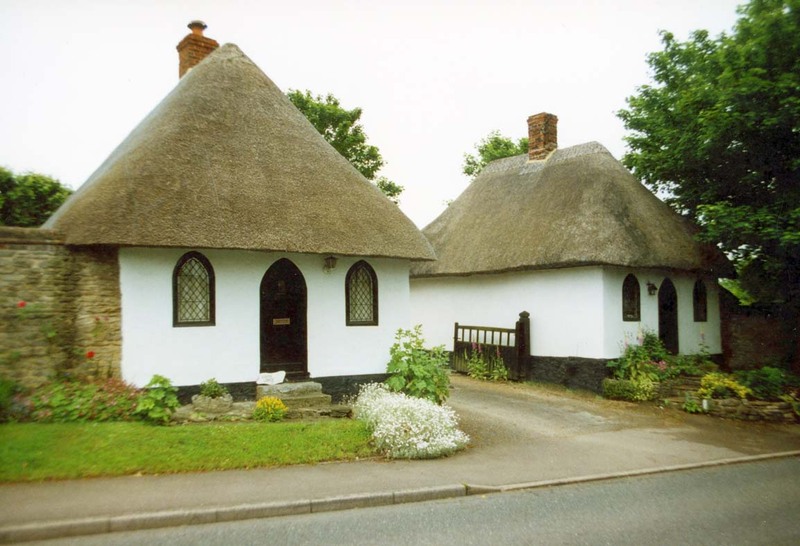 Little Milton… Two estate lodges, coated in combed wheat reed. 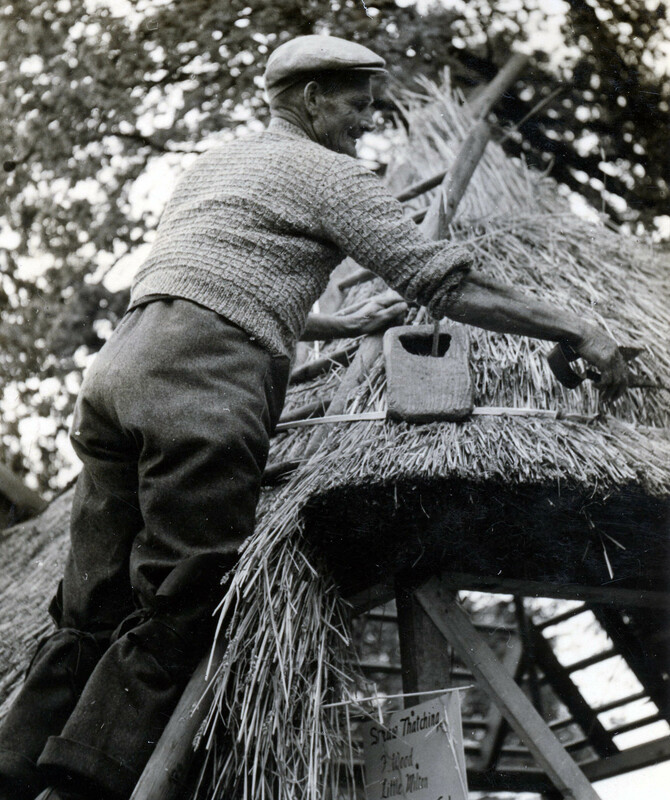 The right hand image shows this area’s more traditional material, long straw; being laid by local thatcher Mr F. Wood, probably in the 1940’s. 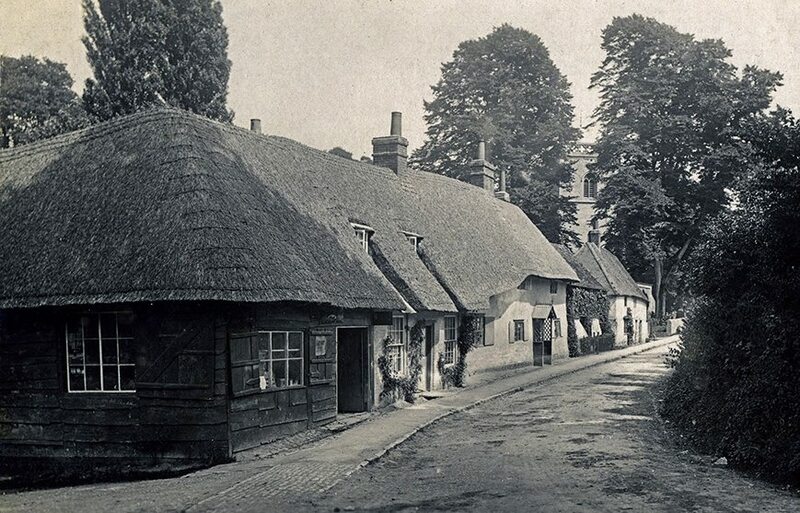 His demonstration, was likely some miles away from southern Oxfordshire, as the photo was taken by P.H.Given of Guildford. 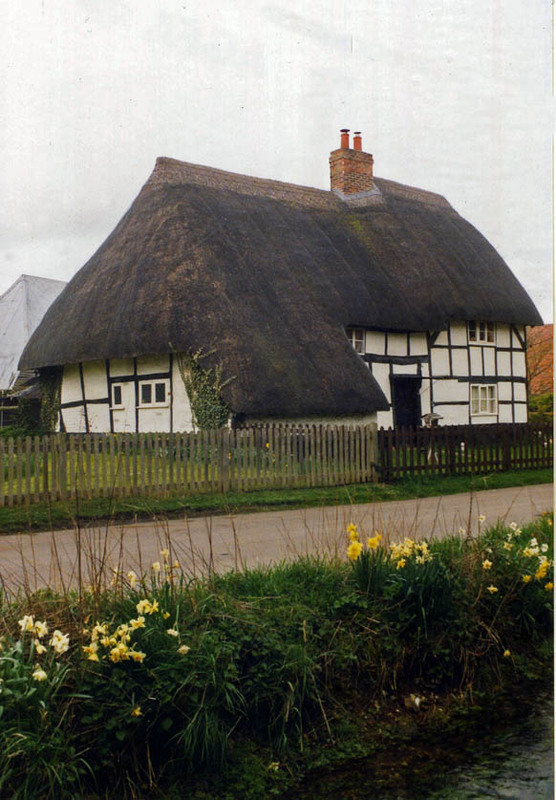 Black and white thatch… Many Berkshire roofs top a timber framed property. 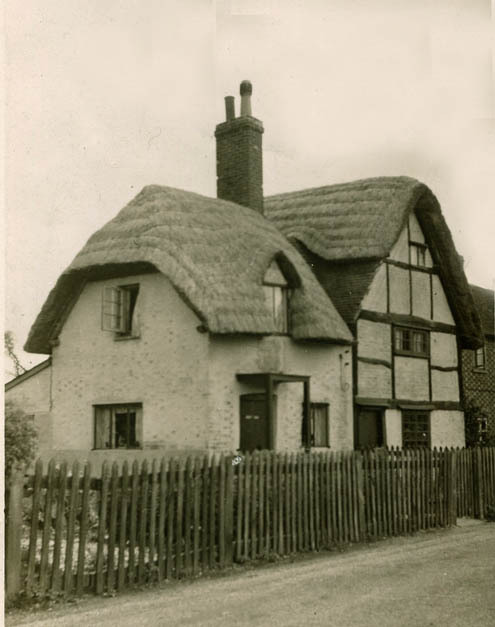 The left hand cottage at Theale shows a directional repaired roof, in around 1930. It’s modern counterpart is of combed wheat. 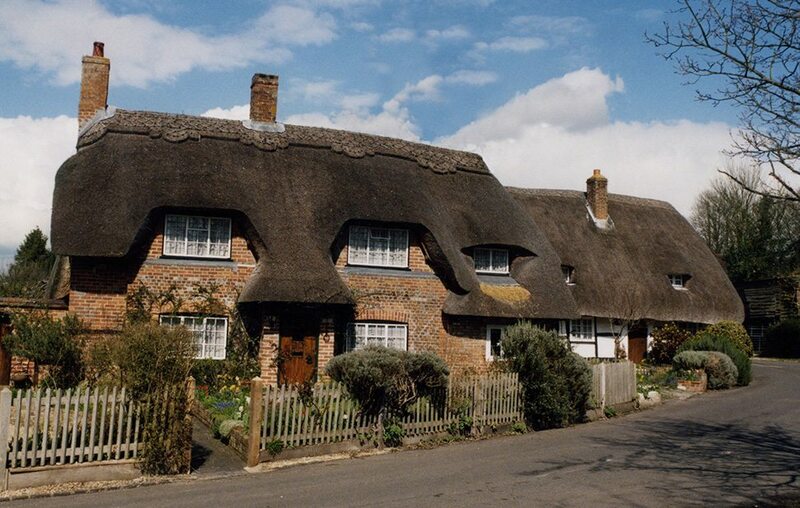 This also covers the right hand roof, near Lambourn. 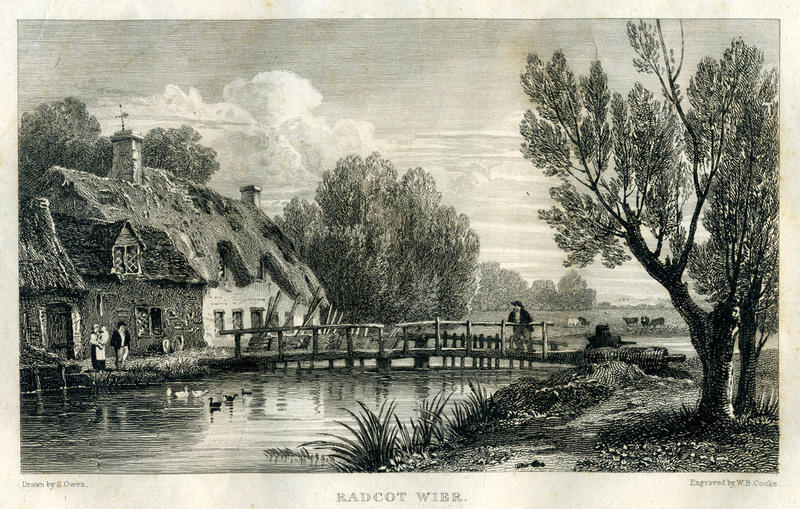 Royal Lodge… The original thatched building lay in Windsor Great Park three miles south of Windsor Castle. 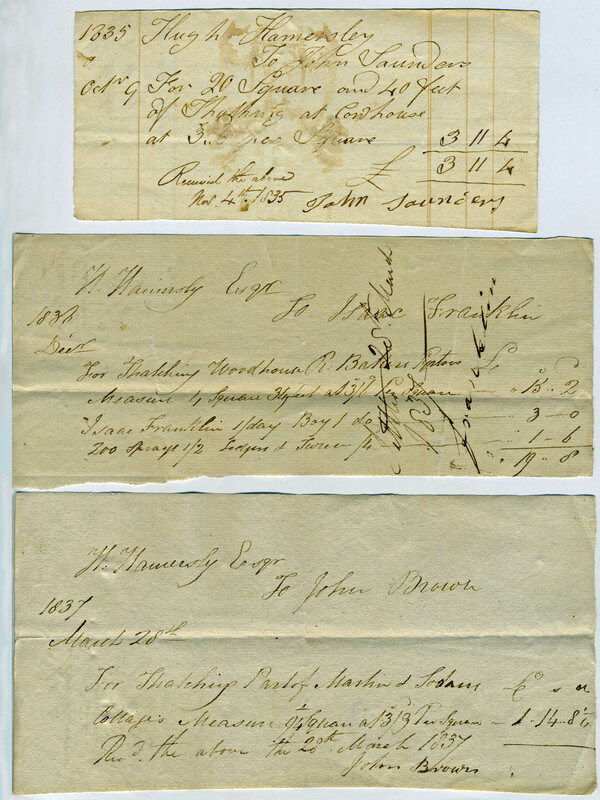 This spectacular creation was the brainchild of the Prince Regent, later king George IV. Once a smallish cottage, housing the Deputy Ranger of Windsor Great Park, it was taken over by the prince, to act as temporary accommodation. 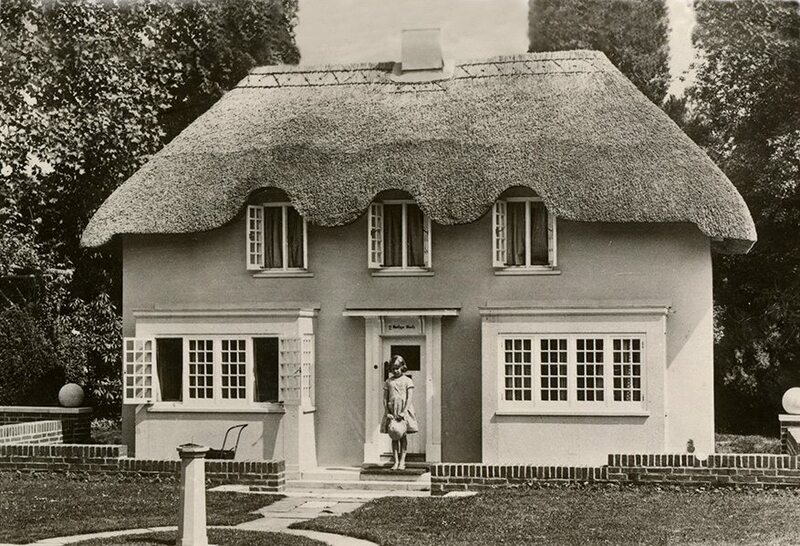 But instead he had the building enlarged several times, employing a favoured architect John Nash. 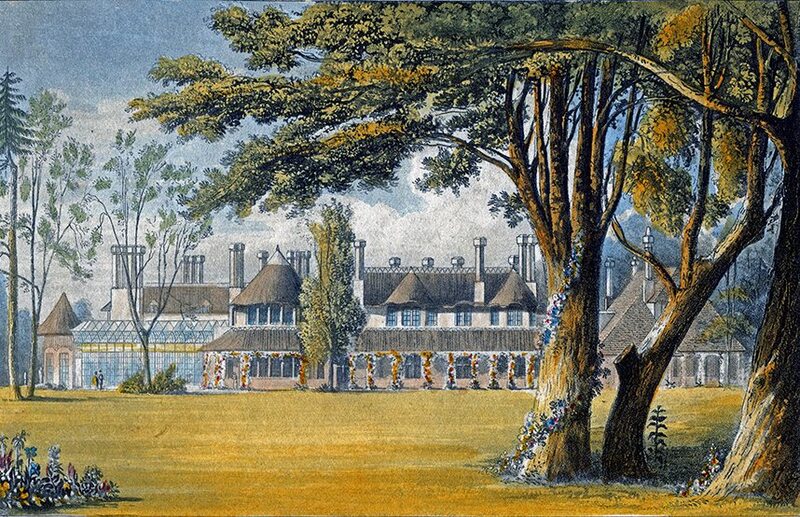 Its replacement still stands and in its large grounds lies another royal cottage, built on a much smaller scale. 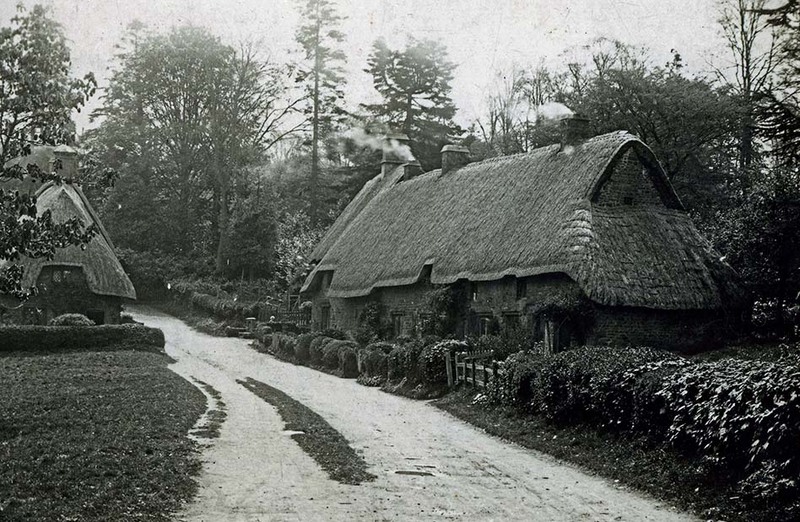 Y Bwthyn Bach, (The Little Cottage) a gift to Princess, later Queen Elizabeth; from the people of Wales, in 1932.